We&apos;re always being told the key to healthy eating is to be prepared and have healthy snack options on hand. Bliss Bites, Handcrafted by Loaf, to the rescue! We&apos;ve used all the nutrient-packed raw ingredients that you would use at home, free from gluten, dairy and wheat and packed them together into bite size pieces, individually wrapped so you can just grab them from your desk draw/hand bag and starve off the hunger pains until the next meal. They come in a pack of 8 individually wrapped 15g servings so they&apos;re perfect for lunch boxes, morning tea, on the go sports snacks or a sweet hit for your afternoon. Also keep an eye out for them on the counter of your favourite coffee shop. We&apos;ve chosen ingredients that are nutrient dense with numerous health benefits. These include well-renowned superfood such as goji berries, chia seeds, dates, almonds and blueberries. The only sugar you&apos;ll find comes from dried fruit and honey. A tangy apricot, macadamia, cashew and coconut bite combined with dates and honey. I was excited to try these after having tried the loaf bites products in earlier review rounds. These sounded so good with the goodness of the loaf products but something a little bit healthier so you can feel less guilty as you eat them. I love apricot and macadamia and I am a fan of home made bliss balls so I knew these would be a hit. I have tried making my own bliss balls but being able to buy a ready made product is always a bonus. 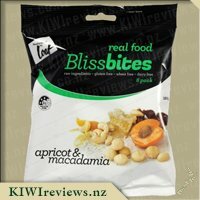 I loved the taste and texture of these both the apricot and macadamia had been really mushed up into a smooth sticky bite but you could still tell they were packed full of real ingredients. The nut pieces were really small so had obviously been ground but you still got a tiny bit of bite from the nut. 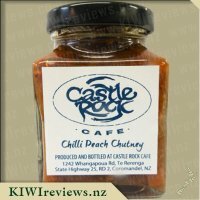 I was really impressed with the taste the natural apricot flavour comes through very strong which is what I would like from a apricot bite so very impressed. I liked the individual servings being wrapped as it meant I can chuck them in my bag if going out and they make a great on the go treat for a quick energy boost or pick me up between meals. The bites are quite small so I would probably have two as a snack so it could be an expensive snacking option but in my opinion worth the money as they are tasty and made from good quality ingredients which will give you a better energy boost than processed products in my opinion. I had tried a different flavour in this Bliss Bites range and figured why not try another, may end up enjoying this apricot and macadamia version. My youngest, having loved her previous trail in this brand, went positively crazy when she saw this come out of the box, snatching it out of my hand and racing off to grab some scissors to open it (there is a tear point but she still struggles with these). These come in 8 small, individually packaged pieces, which is handy for throwing in the bag, but not so much when you want to cut down on waste, perhaps something similar to biscuit packaging to protect the bites and limit waste? I cut one into thirds for the kids to try and handed a full one to my mum and one for myself. My eldest didn&apos;t like his bit at all and was happy to pass on eating anymore. My middle child likes it, her reasoning being that there is lemon in it, which she can taste in the bites. My youngest says that the little packets are too hard for her to open but she loves the flavours of it because of the nuts inside of it and would love for me to but more. My mum enjoyed it and would happily have a bag next to her bed for those late nights when you need a snack but don&apos;t want to leave the comfort of your nice warm bed. Whilst I love apricots, I found it too overpowered by the nuts and also found the nuts to be too small for my liking in this. For my 7 and 5 year olds, I would get this again as a treat. I asked a friend to come over to help with the review, seeing as I have done one already with a different flavour. I was open to new ideas and thoughts about the bliss bites. My friend noticed how each bite was wrapped separate and this brought up a pros and cons discussion. The con being that it was a waste of packaging and also how the bites were a little hard to get into. Each packet seemed a bit hard to tear open. But then also a pro for on the go people, to throw one in your bag to eat later is a plus, knowing it would not get dirty. So there was time spent talking about the packaging before we decided to taste test the apricot and macadamia bliss bites. I found the smell of apricot was the first hit I got, my friend thought the same. I loved how could see the chunks of nuts within the bite so you knew it was going to be tasty, but I found it wasn&apos;t hard too, and the nuts didn&apos;t get stuck in your teeth. I noticed this as I currently have a wisdom tooth playing up and I found the bites soft enough to eat without aggravating it. My friend thought the flavours were amazing and was rather hooked on them, eating another two to get that hit of flavours again. I find they didn&apos;t fill me up much though, and if I was an on the run woman and needed a snack to tide me by for a couple hours, I would probably need about three. This would soon add up cost wise if going through nearly a bag every couple days. They are yummy bliss bites and if you can afford them, they would be an ideal treat to have on the run or as a healthy snack. I love the ingredients used and the use of raw ingredients, the fact they are gluten, wheat and dairy free is amazing. A lot of people who have health issues these days, this would be an ideal treat for them. 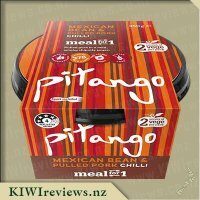 The packaging is effective, easy to read, eye catching and shows the ingredients used without having to read the label. 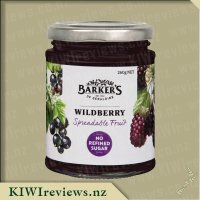 I was sorry that I had invited several other people to help me review this product because the bites are so delicious that I could quite happily have kept the lot for myself. However, I shared them (reluctantly) and they went down a treat. We did the sniff test first: apricot was the strongest, followed by coconut. So far so good! The adults liked the fact that each square was solid, and for people like me who often carry food round all day before there is a chance to actually eat it, the individual packaging is a plus. I carried one piece in my pocket while I walked several kilometres, then drove for an hour, then walked two kilometres more. When I took the bite out of my pocket, it was a little soft, but it had kept its shape well and was still intact inside the wrapping. Very useful when you have an active lifestyle and want a snack on the go. Mr Six pointed out that the bites were easy to eat even if you did have a wiggly tooth, but he was astounded to find that they contained honey as that is something he does not normally enjoy. Mr 11 said they were quite sweet but he would have liked larger pieces of nuts as they were very fine and seemed to just vanish into the mix of other ingredients. The four adults who tried them all enjoyed them; one commented that one would probably be enough but the others all said that they could manage two! I tried chopping one piece into 16 and adding it to some breakfast muesli - and that was a delicious combination. 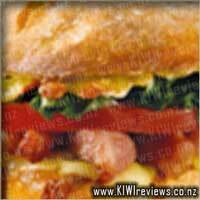 It acted as a sweetener and also added flavour to a fairly plain mix. I served it with soy milk (I am allergic to cow&apos;s milk although that would probably be just as good for people who are not avoiding dairy) with some fresh chopped walnuts and tamarillos. I loved the way the texture of the bites came through, and would buy them again just to have them that way! Finally, I like the fact that the ingredients are mostly natural so you are not eating "fillers" with little food value. They are ideal for a late night snack when you get the munchies and want something that will address the 2 am sugar low without adding empty calories. Although they are small, the texture is quite dense so they are pleasantly filling. As with the other flavours in this range I am a little concerned with the amount of packaging that is used. Is that much really necessary? I would like to see it cut down quite a lot more. Something better for the environment, for this product that is trying to make a product that is good for the body. 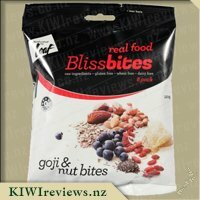 This product definitely has far less ingredients than the &apos;Goji and nut bites&apos; product, and I think it has worked in its favour. 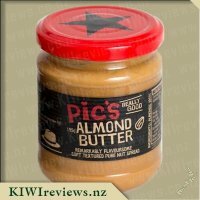 It contains some larger chunks of cashew and macadamia nuts, which helps provide some better texture to the product. the apricots are by far the dominant flavour, but there is a definite nuttiness to the bite. A much more enjoyable bite to eat, but I am still wary of the price. The size of the bites, means it won&apos;t fill me up, and at just under a dollar per bite, it is quite on the expensive side. Quite sweet, but it has a very similar flavour to generic apricot muesli bars. I can see this being a nice healthy snack when you are on your go, and a great alternative to the sugar-high products available for a child&apos;s lunchbox. 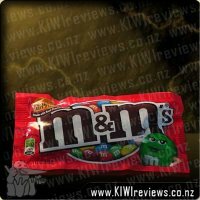 Upon first receiving these from KIWIreviews to sample - I did not immediately open the bag, thinking that once I did, I would have to work out a way to properly keep it sealed. To my surprise and delight - these are individually packaged!!! I am not a huge fan of excess packaging, so while this makes them convenient, and I completely understand that all together they would become smooshed, I am torn between convenience and excess waste. The packaging itself is attractive, easy to distinguish between flavours and is easy to decipher, so you know exactly what is in the bites. But, the packaging is not the main part of this review, so I will move on to the taste, and much more exciting things!! These bites are absolutely delicious!! From the first bite I sampled, I was very much in love!! 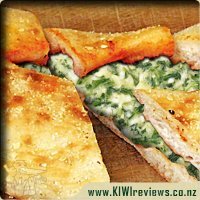 The texture is great - soft but not mooshy, a nice combination of sweetness and flavours, and they most certainly have a handcrafted feel to them - not a big commercial one. The flavours work so well together - though, if I am honest - I did not taste a lot of the coconut or dates, and was surprised to find them as main parts of the ingredients. The macadamia and apricot were wonderful though. The size of the pack, at first appeared small - and I admit to thinking - gosh - I could eat all 8 in one go! However, these have been carefully made to have a great combination of ingredients that, after just one bliss bite, leave you happy and a great snack. I would personally use them when racing between work and kindergarten / school pickup, when needing a good energy boost to see me through until dinner. I also used them as a snack whilst watching my daughters dancing - not messy, quick and easy - PERFECT! My children asked to try these, and to be honest, I was hesitant as to whether they would enjoy them - but all 3 of them did (age range 3-7) , and even asked for more. They described them as a fruity muesli bar - which I guess they kind of are! 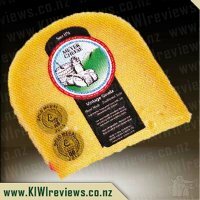 Loaf bliss bites have a 3.5 star health rating, which is pretty good for a snack type food, especially whenever you consider that the sweetness and flavours are coming from natural and raw ingredients. Another big plus is that they are dairy, wheat and gluten free - meaning that a lot of people can enjoy them. 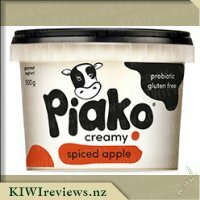 The apricot and macadamia was my second favourite in the bliss bites range, but I would absolutely purchase these should my favourite not be available. These are yummy, packed full of great things, and a lovely treats to have. The price is not too bad - working out to be around 85c per bite. When I first opened this pack I was a little concerned that I didn&apos;t have a proper way to reseal the bag. I opened them at the table with a bunch of guests. As I tipped the bag up into the bowl I had, we noticed that the bites were individually wrapped. "Oh good" I said. One of my guests looked at me like I was crazy. "That&apos;s a lot of packaging", he countered. I agreed that it was indeed a lot of packaging, but that I had been worried about keeping them from going yucky after the bag was open. We had a bit more of a debate on the merits of packaging and over-packaging food items. The plastic wrappers were quite heavy plastic and I&apos;m not sure it would be recyclable. So just something to think about. Though the look and branding on the packaging was really good. Taste-wise these bites blew all else out of the water. Despite apricot being one of those flavours that many of my friends actually hate, they all had a bite and they all agreed that this flavour was the stand out. It was sweeter and softer and the texture was nicer over all. Even the kids ate and liked this one, despite the fact that one doesn&apos;t do nuts and the other doesn&apos;t do dried fruit. They were delicious! For me, I am the sort of person who buys a packet like this to take to work for my desk. I know that I would eat the whole bag in one morning tea if it wasn&apos;t packaged as well as it is. Others might have more restraint than me. Still, I can see this lasting at least 3 days in my desk draw. All because opening them is a bit harder than a lighter plastic wrap would be. Wow, these bites are absolutely delicious! From my first bites I was sold, the texture was perfect soft but not squidgy, but also not as dry and hard as the cacao and orange bites I had tried in the range, the flavours worked amazingly together and in every mouthful I was hit with a taste explosion of yummy dried apricots, coconut, cashew and macadamia nuts, there was certainly no need to second guess what the flavour of these bliss bites was. Reading the back of the pack I noted that dates are one of the main ingredients in the product but to be honest I couldn&apos;t taste it, which to me wasn&apos;t necessarily a bad thing it just goes to show the amazing job that Loaf has done to develop the main flavours of these bites! The pack of bites contains 8 individually wrapped bites, and although they do appear to be rather small in size they are actually quite filling which makes them perfect for a quick snack when your in a rush. They would also make a great pre or post workout snack or a great addition to your lunchbox, and with them being individually wrapped it makes them super convenient and easy to transport around, no need to spend time wrapping them or worrying about them squishing up. These bites come with a 3.5 star health rating, which in my opinion is great for a snack food, especially if you were to compare them to a snack food such as a biscuit or a bag of chips which have absolutely no nutritional value! The bliss bites contain all raw and natural ingredients, and being gluten, wheat and dairy free make them quite allergy friendly. 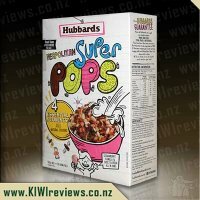 The packaging is attractive and I love that it shows a great picture of the only ingredients that you will find contained within the bites, this such picture would e enough to make me pick up such a package off the supermarket shelf for a closer look! Although I couldn&apos;t persuade my 3 year old into trying more than a small nibble of one of these, I can happily say that her dad loved these and he is not one who usually enjoys such things being rather against anything containing nuts and coconut but the taste of the apricot had him sold! Another amazing, high quality product from those at Loaf which I know I will certainly be purchasing again. I had no idea what to expect with this, I was not even sure what they were going to look like as there is no real picture on the packet besides the various ingredients. So I was pleasantly surprised when I opened it up and found a cube size in its own wrapper - perfect for school/work lunches was my first thought. First of I love the fact that the original packaging is so easy to open. It indicates where you need to open from and it is a breeze. Practically down the centre so I could see straight away that there were eight individual packets in there. As was peckish I quickly undone one and as they are on the smallish bite size I took a nibble. Straight away I could taste the Apricot and Coconut and I knew with the crunch that must be the Macadamia. definitely all strong in taste. Appearance wise not that crash hot and can now understand why a picture was not put on the packet. I gave one each to my hubby and girls for lunch and they all loved it and said they would like again. A great alternative to Museli Bars. Actually, this will be perfect for there dance lessons when they want to have something to eat during there five minute break. The price is rather steep for what it is but because it has raw ingredients and is dairy/gluten and wheat free I can understand the pricing aspect. Where as I am not a huge fan of the taste, the rest of the family enjoyed it so would consider buying again. Always good to have something in the pantry when you are a little peckish instead of reaching for the chocolate. With the first bite, you can defiantly taste the apricot. The apricot favour is sweet and very strong. The texture shows that there are nuts in there. The bite is softish and it is easy to eat and enjoy. These bites taste really good and it would be easy to eat too many in one hit. Although I prefer the flavour of these ones I found that the Cacao and Orange ones were more satisfying and less likely to encourage me to keep eating! I like the fact that this product is made up of raw foods. All of the ingredients are recognisable as food and therefore it would be possible to whip them up in your own kitchen at home. That is of course if you have the time. It certainly is handy to have quality products available to simply put in your bag just in case you get hungry! The one thing that I would prefer not to be in the bites are sulphites. I gather that they would be from the preservative in the apricots. I would imagine that without them there would would be a shorter shelf life. I am not sure what could be done about that but it is the only item in the contents that I would prefer to be absent. Regardless of whether the sulphites are in there or not, this is a much better option than having a sugar laden muesli bar in my hand bag for those emergency snack needs! Last year I started going to the gym on a regular basis and after each workout, I am so hungry. I popped one of these in my bag and enjoyed if after my workout this morning. It made a big difference to my need to stuff my face with whatever was around me at the time. I think the face that there is sweetness in it, it sorted out my need for sugar as well as putting some goodness into my body. The fact that they are individually wrapped meant that I could keep it safe in my gym bag, ready for use, without having to put it in a separate container. The company website provides information on the ingredients and what qualities each ingredient has for delivering vitamins, minerals and goodness to your body. I found this a very interesting read and worthwhile spending a few minutes to browse through. The information may even help a consumer decide which product is best for them if they know they need to increase certain things in their diet (or stay away from some items). I found that these bites were extremely delicious and I enjoyed eating them. The kids liked them too and therefore they would provide a healthy option for them when we need a quick snack. Bliss bites seem to be becoming more and more popular at the moment. They&apos;re great for when you&apos;re on the go and want to have a healthier snack option on hand. Having made them a couple of times myself using different combinations of dried fruit and nuts, I was interested to give this product a try. 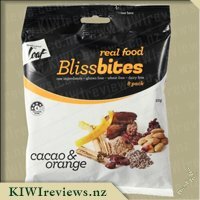 There are 8 bliss bites per pack (1 bite is a serving) and I love the fact that they are individually wrapped so they can be popped straight into the handbag, lunchbox or car for when you&apos;re in need of a quick snack. The apricot and nuts give them a good texture though they were still a tad too smooth for my liking and I wasn&apos;t a fan of the date flavour. I also found them to be a little too sweet with both dates, apricots and honey in them. My son wasn&apos;t a big fan (but then he&apos;s never been keen on things like that) but my partner liked them and again the individual wrapping makes them very convenient which I think is something that a lot of people look for in today&apos;s busy society. They are a little on the pricey side for what you get but then they do use expensive ingredients and if you&apos;re looking for something a little healthier snack wise then these are a great option. I&apos;m keen to try some of the other flavours next time I do the shopping. Now this is one I will be looking to buy again! I love the taste of apricots - fresh or dried - and coconut is one of my all-time favourite flavours too. Add to that macadamias - a taste I have come to enjoy over the last couple of years - and cashews... and this &apos;bite&apos; variant has all the hallmarks of a winner for me. Not on the cheap side of the snack food options out there - each bite costs about 87c - they also are not big portions. However, when you look at the calibre and quality of the raw ingredients, it&apos;s easy to see that these are never going to be budget snacks. These are the top-shelf snacks that you buy because you want the very best for your family - kids, partners and yourself too. These are energy-rich without being sugar-heavy, and have an amazing flavour. The only tiny let down for me - and it is about my own personal preferences only - was the utter lack of any detectable date flavour. I love dates, almost as much as I love the other flavours, all of which came through, but not the date. I also could not detect much honey flavour, but for me that&apos;s a good thing. Discovering as a child, the hard way, that I had an allergy to bee venom, I never acquired the taste for honey, so the utterly invisible flavour is a huge bonus for me. I would be very curious to know what type, and grade, of honey is used. 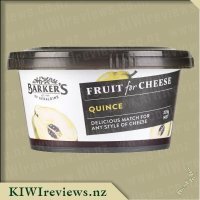 Overall, of the three variants in the range, this is the one that will be getting added to my shopping list when I want a healthy, but delightfully tasty, treat snack. Even my fussy 7yr old enjoyed it, and while he said he liked them all and had no real preference for any of the three over the others, this is the one he would be happy to share with me any time... and he only ever offers to share things he really likes. 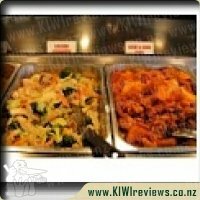 A crowd-pulling Asian buffet offering everything from sushi to noodles, sweet and sour pork and five-spice chicken. 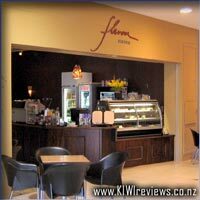 The buffet&apos;s priced at $17.90 Mon (seniors $15.90), and $19.90 Thur (seniors $17.90). Children&apos;s meals $1 per year of age. Traditional takeaways available, such as fish & chips and toasties. Licensed/BYO. Open daily from 10am, late night until 10pm Thurs.